Samsung topped Apple(s aapl) last quarter in terms of smartphone profits, but both companies didn’t see sales growth realized by most other handset makers: LG, Lenovo, ZTE and others picked up more market share around the world over the past year. It is a win of sorts for Samsung, although it could be short-lived. 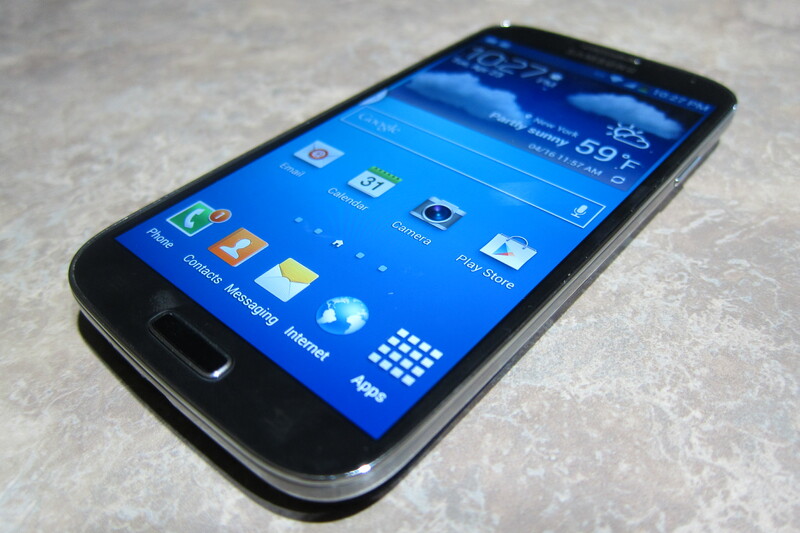 The company introduced its Galaxy S 4 during this quarter, while Apple had no new phone of its own. And Apple is still selling many older iPhones, such as the 4 and 4S models, which actually brings down the average selling price of Apple’s handsets. When the next iPhone model arrives, it’s likely that Apple retakes the profit crown. I suspect these saw larger growth because in some sense, they’ve “caught up” to Samsung with regards to hardware build, design and features that most people want in a smartphone. And they all have one thing in common when it comes to software: All of these companies offer Android phones that are lightly skinned, offering a desirable alternative to Samsung’s “in your face” TouchWiz user interface. Seems like Canaccord Genuity disagrees with SA’s results too. Kevin, what did Neil say about the “divide by half” point? AppleInsider provided detail that Neil should have addressed, mainly that iPhones and iPads are more profitable and account for slightly more than half the revenue. If SA just says “i’ve been doing this since 2007”, that’s not an answer. Neil didn’t address that question, unfortunately. Thanks to several commenters pointing out the Apple Insider detailed breakdown of figures. I have a few questions into Neil Mawston, Executive Director, Global Wireless Practice, at Strategy Analytics on the firm’s estimates and will update the post once I hear back. I think Dan put some great effort into breaking down the numbers although I do wonder about Samsung’s IM division. It appears to include much more than mobile (PCs, networking gear, etc….) but I suspect the bulk of profits do come from mobile. Hard to say without more forthcoming data from Samsung. If SA did simply divide Apple’s total profits by half as Dan suggested, then I think that was a mistake. Let’s see what SA has to say. I had an email conversation with Neil and he says that only handset sales were used in Strategy Analytic’s estimates. He also mentions that SA has been tracking quarterly handset profits since 2007 for modeling and estimation purposes. Hey Kevin, do you feel a little remorse for running with this story, since it’s obviously not true? Maybe some fact-checking on your own next time? Kevin, have you read Phillip Elmore DeWitt’s analysis of the estimates? I like to hear your analysis of his analysis. It has since been shown that this report was way off. Other sites reported this error why hasn’t this one? Gee, is there a reason nobody has mentioned that Samsung is a client of Strategy Analytics? Yes, Kevin, most of the clients they cover are most likely clients. However, I strongly suspect that Apple is not. Given that, and given the fact that neither Apple nor Samsung report phone profits separately, I would also strongly suspect that Strategy Analytics might tend to skew their report in the direction of someone who is a client. Samsung’s mobile devices are made by Samsung IM — Internet & Mobile — division. While the same division also handles tablet, laptop, etc, their share of the division sales / profit is miniscule. So SA’s estimate is not far off. You can’t blame Samsung for this. Blame Tim Cook and Apple. It’s plain to see that Apple doesn’t really care about competing against other companies. 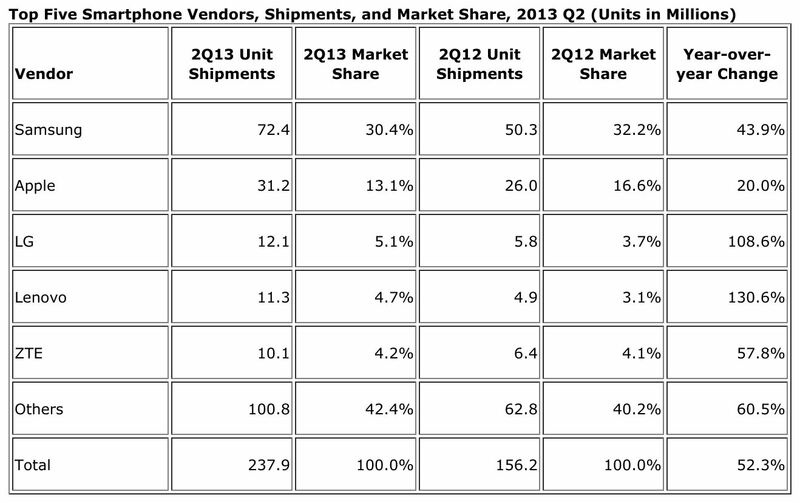 Apple will easily give up market share to smaller rival companies. Apple would rather just accumulate reserve cash than use it to crush rivals. Apple was in a very strong position to easily hold onto its iPhone empire, but decided to coast instead of accelerating sales. That’s something I really don’t understand as an Apple shareholder. Apple should know well enough if it loses market share the company’s shareholder value will quickly collapse. Investors would rather not invest in companies who easily give up without a fight. Apple is such a company. Samsung did everything possible to walk right in a take over the smartphone industry while Apple sat back and did next to nothing. I honestly don’t blame Samsung because they want to win at any cost. It’s a money-making business to them. They want to dominate the smartphone industry and acquire the wealth and power it brings. Apple does not. It’s plain to see in everything Apple does they are not interested in dominating any industry. They’re happy to take the high-end and leave the rest. The high-end is only 20% to 25% tops which leaves 75% for any other company to take for itself. Apple shareholders will never see the wealth that Apple could potentially capture if it operated far more aggressively. That’s the reason why Apple will forever be seen as a doomed company with a doubtful future. Apple has brought that upon itself. This said it all guesswork by a research company. Yes same as the guesswork of how many kindles sold by amazon and whatever. Laghing_Boy48, Apple is all about take it or leave it. No choices. If you want a smart phone it will have a screen that is X inches. It will not have NFC. It will not have a removable battery. It will not have a USB power source. The only choice you can have is buying prior generation products. It’s not that Apple is not trying to win, it’s that they’re trying to push what they want down the consumers’ throat rather than giving the consumer what they want. If they can maintain margins they can make just as much money doing that as doing what other companies do. But to do what you want they would have to totally change their relationship with consumers.